Other photos: Galley and Country Kitchen, Country Kitchen - Dinette, Galley and Country Kitchen, Galley Fridge, Galley Wine Chiller, Galley Appliances, Day Head, Day Head, Pilothouse - Looking Forward, Pilothouse - Helm, Pilothouse - Helm, Pilothouse - Looking Aft to Flybridge Stairs, Pilothouse - Guest Seating, Pilothouse - Guest Seating, Pilothouse Stairway - Up to Flybridge, Down to Starboard Main Deck Companionway, Pilothouse Stairway and Companionway, Main Deck Companionway, Dining Salon, Dining Salon - Looking Aft, Dining Salon - Looking Aft, Dining Salon - Looking Aft, Dining Table, Dining Salon - Looking Forward, Starboard Dining Cabinetry, Port Dining Cabinetry, Salon, Salon - Looking Forward, Game Table - Salon Aft, Game Table - Salon Aft, VIP Guest Stairwell, Forward VIP Stateroom, VIP Stateroom - Aft Bulkhead, VIP - TV and Dresser, VIP En Suite Bath, VIP En Suite Bath, Washer and Dryer at base of VIP Stairwell, Port Guest Stateroom, Port Guest Stateroom - TV, Port Guest Bath, Starboard Guest Stateroom, Starboard Guest Stateroom - TV, Starboard Guest Bath, Starboard Guest Bath, Companionway to Master Stateroom, Master Stateroom, Master Stateroom, Master Stateroom, Master Stateroom, Master Stateroom, Master Stateroom, Master Stateroom En Suite Bath, Master Stateroom En Suite Bath, Aft Deck, Aft Deck, Aft Deck - Wet Bar, Refrig and Storage, Aft Deck, Swim Platform, Aft Deck Stairs to Swim Platform - Port, Aft Deck Stairs to Swim Platform - Starboard, Flybridge Helm - Looking to Port, Flybridge Helm - Looking Starboard, Flybridge Helm, Flybridge - Sliding Door to Pilothouse, Flybridge - Wing Controls, Flybridge - Helm, Flybridge - Bar, Flybridge - Bar, Flybridge - Wet Bar, Flybridge Entertainment Area, Flybridge - Guest Seating, Flybridge - Looking Forward, Flybridge Aft - Looking Forward, Flybridge Aft - Jacuzzi - Covered, Flybridge Aft - Jacuzzi - Open, Flybridge Aft - Looking Forward, Flybridge Aft - Davit, Flybridge Aft - Tender & Toy, Aft Deck Staircase to Flybridge, Engine Room - Looking Forward, Engine Room, Engine Room, Engine Room, Engine Room - Work Bench, Engine Room - Watermakers, Engine Room - Air Conditioners, Engine Room, Engine Room - Port Generator, Engine Room - Starboard Generator, Electrical Distribution Panels, Starboard Side Deck, Starboard Entry, Anchor Windlass, Anchor Windlass, Bosun's Locker, Port Side Deck, Photo 96, Photo 97. 103' of quality workmanship defines Sea Filly. Custom built at West Bay on the proven Westport fiberglass hull. 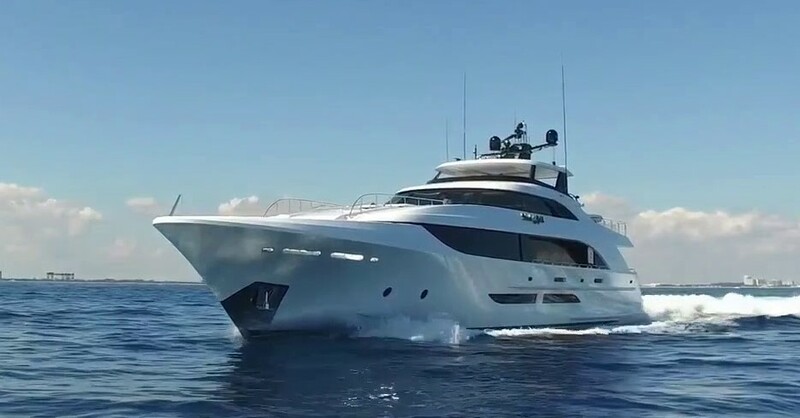 In excellent condition with many upgrades and updates since second owner acquired yacht.